This project has received funding from the European Union’s Horizon 2020 research and innovation programme under grant agreement No 723577. 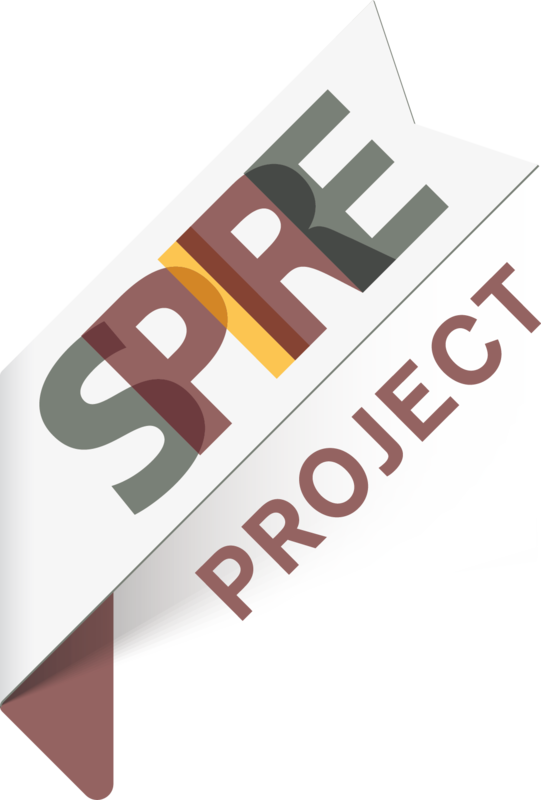 Results of SpotView Project : Public information from SpotView periodic reports are available on bubble "documentation". Please look at the following motion design ! an industrial partnership to improve water efficiency! 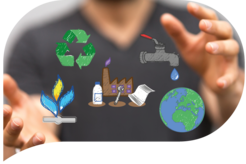 The objective of the SpotView Project is to develop and demonstrate innovative, sustainable and efficient processes and technology components, in order to optimize the use of natural resources, especially water, in three industrial sectors (Dairy, Pulp and Paper and Steel). Resource optimization (including water, energy, raw materials and additives) is a key issue for competitiveness and sustainability. During the SpotView project, 14 existing and new technologies will be assessed for 9 new water management practices. Up to 7 selected technologies demonstrators are planned in real industrial environment. 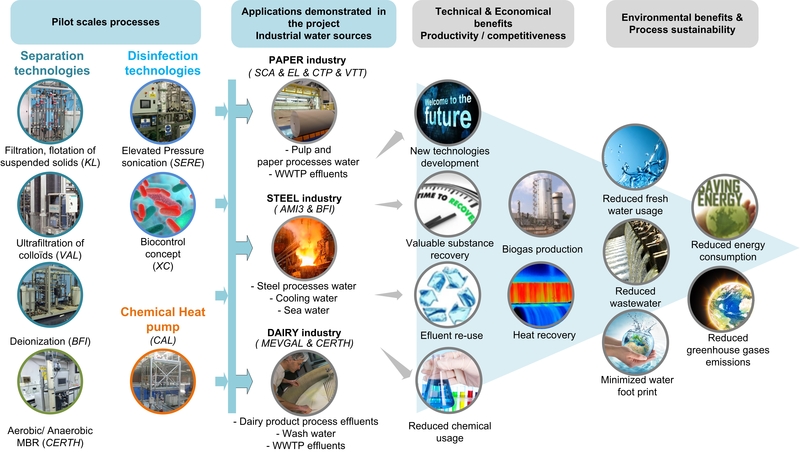 These technologies will be evaluated in terms of environmental impacts and benefits, generated by achieving the SpotView targets (20% to 90% reduction of water usage, wastewater emissions, chemicals and energy use). The SpotView consortium covers the whole value chain, from technology development to industrial applications. Economic exploitation of the technologies is pursued through a well described business case scenario. Dissemination and training activities are planned to maximize the impact of the project. Market opportunities for services and technology products beyond the SpotView project are expected to generate up to 2800 new equipment and 7000 new jobs in Europe!